If the Vines do not appear immediately, please try refreshing your page. If you’re on Twitter, just CLICK the to Retweet the Vine. Get the Deck of Cards featuring Article Templates at the EzineArticles Shop! EzineArticles #grammar tip: Grammarsaur vs. “alot.” Good grammar never goes extinct. 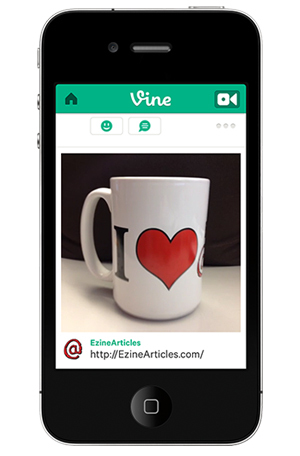 You don’t have to download the Vine app to view EzineArticles’ Vines! Simply follow us on Twitter where we’ll release new Vines. Are you on Vine? Follow us, create your own 6-second EzineArticles Expert Author Vine, tag @EzineArticles, share it on Twitter and here in the comments section of this post, and we’ll retweet the top 5 to our 95,000+ Twitter Followers. We use YouTube for creating videos about the markets we serve. We will have to check out Vine. Thanks for sharing. Never heard of Vine, but i trust EzineArticles, so it’s something that i will participate on also. Thanks for the heads up. Penny, this is a great value addition to EzineArticles’ writers and web business owners! Can’t wait to try it out as a promotional platform – Thanks! Superb and funny either. Information given in such a nice way. Thanks for recommending Vine. It looks like a useful addition for getting one’s articles more widely read.